Meet with us to discuss your wishes and questions. We will get to know one another and talk about what you want in a home. You can visit our office or we can come to you. We will be more than happy to give you past clients to contact for reference, or show you some of our previous work. Looking at our plans is an option or you may already have a plan in mind. Once we get an idea of what you want, we will move towards the design process. 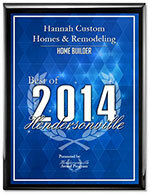 Next, once you decide that Hannah Custom Homes is the right choice for you, we will then begin the design process. You will decide on a plan, and start the process of creating your dream home. Feel free to bring photos with ideas that you are looking to follow. If you have a plan that you like but want to change, we can assist in drawing a plan that is perfect for you. We can also have you work with an architect to create your ideal home. We’ll give you pointers on how the construction loan works, and steps to take to move towards a closing date. If you need assistance with finding a construction loan, we have strong relationships with some wonderful banks that can help you. Once you decide on a plan and financing, if needed, we will discuss allowances for such things as brick, paint, landscaping, flooring, appliances, etc. As we progress, you will choose your hardware, paint colors, cabinetry, etc. 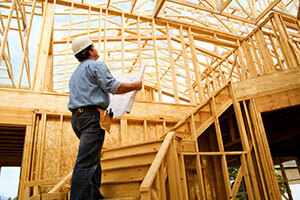 We will setup a timeline and give you an estimate on completion time. During the construction phase, we will stay in close contact to make sure every square foot of your home is to your expectations. You will have access to our program we use to keep our customers involved and up to date at all times. You will be given a username for your account. During the construction of your home, you will be able to view pictures of your home during every stage of construction. The account will allow you to view a schedule of work to be completed and dates that selections need to be completed. You will select your brick/stone type and color, windows, paint color, plumbing fixtures, flooring, cabinetry, granite, electrical fixtures, appliances and landscaping and will be provided with many choices in every price range. We will be glad to assist you with your choices, if you need help. Also, we can offer assistance from an interior designer, if desired. When your home is finished, and you move in, we are still dedicated to your satisfaction with our product. We provide a one year warranty on our work. Even after the warranty has ended, we are still here to make sure you are proud of your home. As a customer, you are our most valuable asset.